If not gas, then what? I love the idea of an induction stove. With an engineering background, I think that it would be a naturally superior stove. But here's a website that explains it very well. Try http://www.epinions.com. You can even become a member there if you wantg to. I've always cooked with gas. Recently I cooked dinner for my sister in her kitchen as she had just had knee replacement surgery. I made beef stroganov on a glass top electric and had no problem. It doesn't take long to adjust to the temperature lag time. The electric burners are actually hotter than the two "High Output" burners on my gas stove! There have been homes burned down because of electrical fires though. Thnere have been homes burned down because of electrical fires though. I prefer gas because it has greater temperature control than electric. But, you can cook just as well with electric once you learn how to handle the beast - and every stove is different. It's like learning to cook with different cookware. Ceramic tops come with different heating methods - coils, infrared, induction ... each has it's own +/- properties. The one thing they all share is that the ceramic top limits the weight of the pots (plus ingredients) you can use on them - also a problem with electric coil stoves to a lesser degree. If you want to do something like canning with a standard boiling water canner or a lobster/shrimp/crab boil with a 20-30 qt pot - ceramic top might not be the way to go (you have to check the specs for the brand/model you're looking at for the weight/pot size limits). Of course, I have been accused of being a Luddite for not embracing every new concept. I couldn't WAIT to have our gas disconnected & have an electric range installed. Especially after half a block of houses blew up just a few miles from us due to a gas leak. Sorry, I'm electric all the way. While I do understand why many serious cooks love gas because of the easy heat adjustment, it's just not worth it to me. I'm always looking for the smell, & frankly, just don't feel it's safe. Around here, anyway, there have been far too many gas explosions. You never hear of homes exploding because of the electric range. I grew up with electric, have catered meals with electric, will continue to use electric. 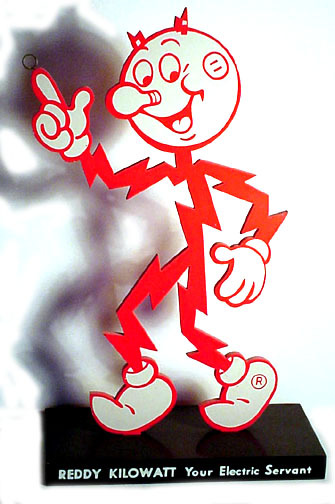 "this anouncement has been brought to you by your public service electric company, and your local electricians union. electricity: safe, clean, efficient. enlightening." You forgot the logo, Buckytom! About two years or so ago in Methuen, MA, two little girls were tragically killed as the result of a silent gas leak that no one even knew about!! The death of little girls is always tragic, be it from a gas leak, a down power line, being thrown out a 2nd story window by some punk who told them to steal, drownding in the back yard pool, etc., etc. The point is that there is risk in everything we do. And as living creature, we tend to do things that endanger ourselves. We destroy our world in our endless search for convenience nad comfort. And me, I'm just like everyone else. I drive my car to work instead of walking the five miles. I choose to live in a place where I have to heat my house with something. I've been known to cut fallen branches off of power lines. And you don't even want to know about my escapades on motorcycles (in my teens and twenties). The only true "fact" that I know is that we were all born to die. So I say, live life to the fullest. Weight the risks and try to manage what you can manage. Pray for guidance and protection for those things you can't controll.